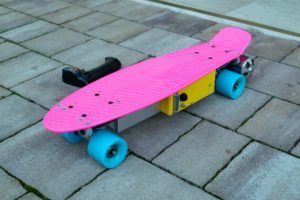 Penny skateboards are available on every corner for something under 20€. They are a lot of fun to ride on and are very useful when someone has to travel a great distance in pedestrian only area. But what happens when a 2.5 kW electric motor is attached on it? Scroll down to find out. The yellow box contains electronics. A charging connector is on the side as well as a button and a power switch. The board is operated with a RC car remote. You can download 3D models (.step) here. 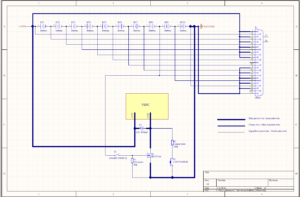 I tried to make the schematics as simple as possible. More info about the building process can be found on imgur. 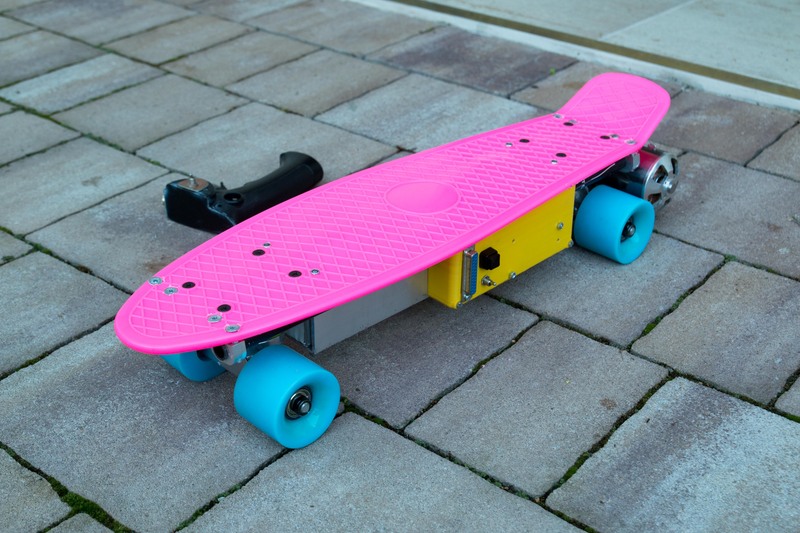 Have to say, absolutely love this skateboard build! Wish I had as much knowledge about the various components as you do! Thanks for the write up. Hi, what VESC are you using? Company? Due to mechanical loads and motor heating some 3D printed plastics are not suitable. I’ve seen people use 3D printed mounts though. Powered by Pavlin.SI 47 queries. 0.337 sec.